During experimental research, a deviation of milling system noise level measurement was detected in idle running mode during the period of equipment shift operation. 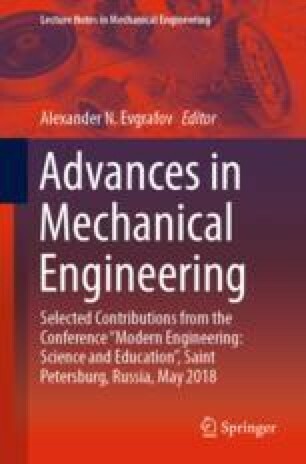 A discrepancy of predicted parameters of predicted vibration activity of the milling system compared to the actual numbers during lowering of the spindle module operating frequencies range in the area of steady cutting. Based on the analysis of the obtained data and additional studies, dependency of system vibration and its noise level from the temperature conditions of the machine working area were identified. This dependency is proposed to be used to adjust the values of the predicted vibration of the milling setup by correlating temperature readings of the system with noise factor by taking into account the operating time of the equipment.